**OSS Emergency Preparedness "FAMILY" Pack Includes everythis below in quantities of four (4) this is specifically designed and developed for a family of four and encompasses a true survival solution. Everything here is neatly packed into our Professional Emergency Services Large Hard Case with sealed bearing abec 8 wheels. 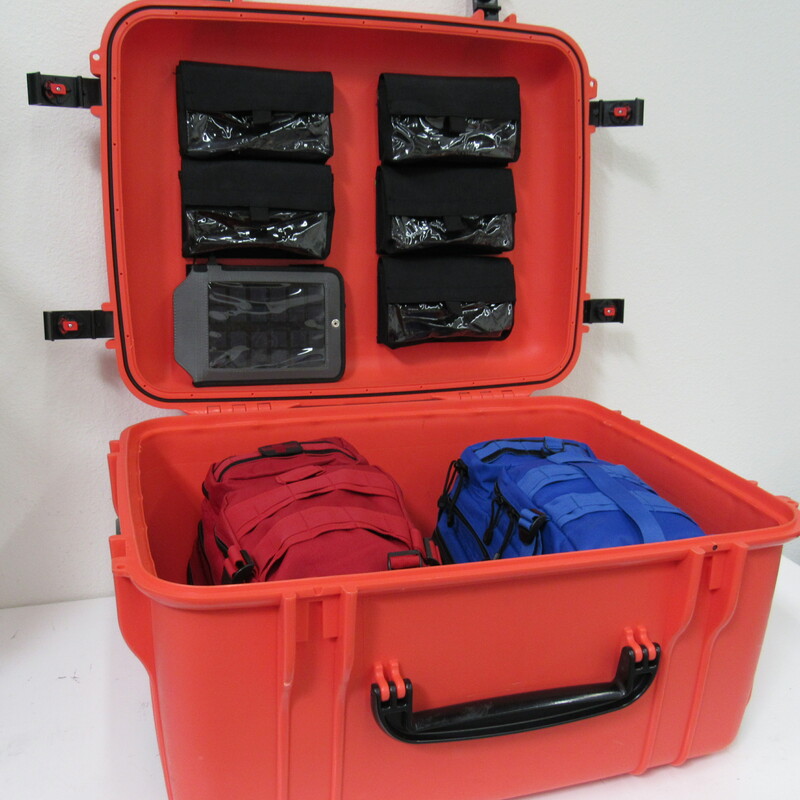 This case is crush proof, water proof, and has four air release valve buckles with an extendable handle for easy deployment and five (5) removable 6x6x10" pockets mounted to the top with velcro. This Advanced Kit also Includes seperate Bailout Bag/Backpack for food and water and Professional Medic Bag/Backpack containing all lifesaving critical lifesaving items. Rugged 1000 Denier Professioanl Field MEDIC Bag/Backpack with all lifesaving critical medical items " included "